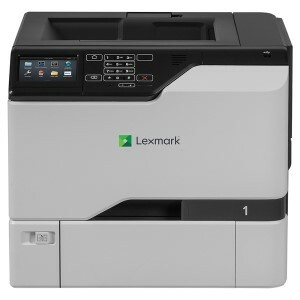 The Lexmark CX825de is built with a fast paced, busy work environment in mind. 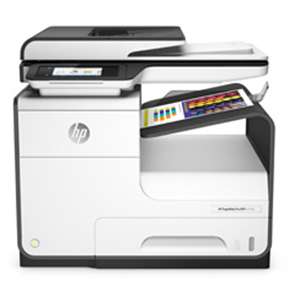 Offering Fax, scan, print and copy modes at print speeds of 52ppm and first page out in 6.5 seconds, this multifunction breezes through the most demanding of document environments. Behind these really fast processing times are a 1.6GHz quad-core processor and 4096MB RAM and 2GB HDD. Extra high yield toners (22,000 CMY / 33,000 K) and automatic double sided printing dramatically reduces costs in consumables as well as time in maintenance operations. For a full, detailed information on the benefits of the CX825de please view the CX825 brochure. Other printers in this range include the Lexmark CX825dte which features 2x 550 sheet tray and the CX825dtfe with 2x 550 sheet tray and an inline staple finisher.